If you try my Orange & Poppyseed Glazed Varoma Chicken this is a great side dish to go with it. Put cous cous in Thermoserver (or other bowl) and pour over boiling water, orange juice and orange salt & pepper rub. Cover and sit for 5 minutes while you prepare the rest. Add butter, spring onion and apple to TM bowl and chop for 3 seconds on speed 5. Scrape down and cook on 100C for 3 minutes, speed 2. 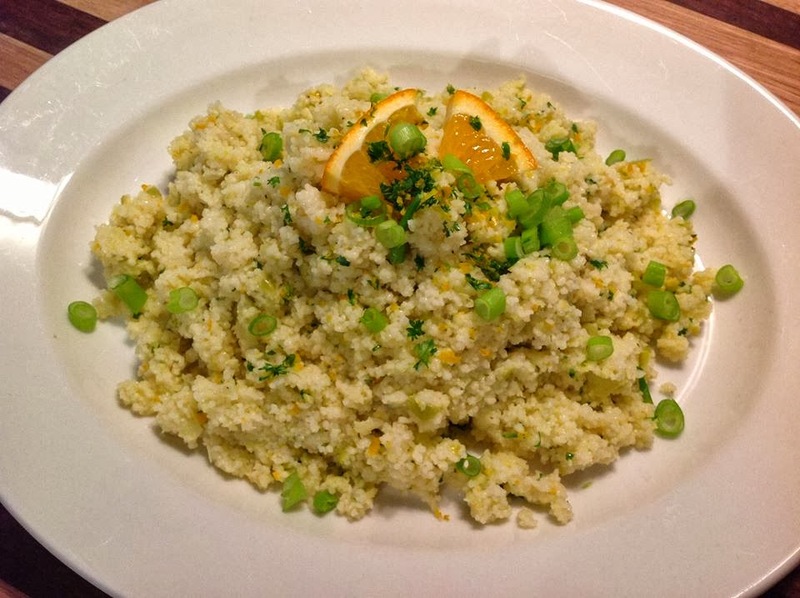 Scrape mixture onto cous cous, add the reserved zest & parsley, and stir through and fluff up with a fork. Cover for another 5 minutes if required.